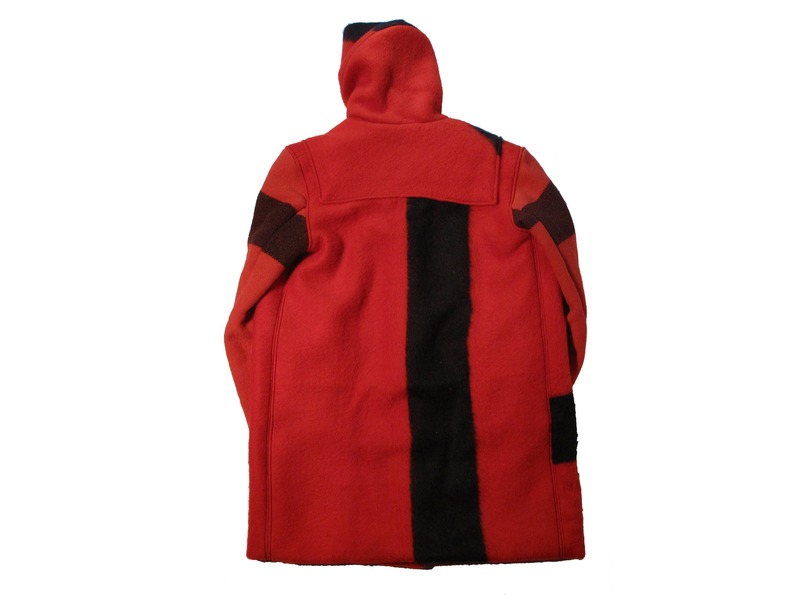 two unseparated Hudson Bay wool point blankets from the 30s. four points, the largest size they offered at the time, shipped to Canada from England in unseparated pairs. 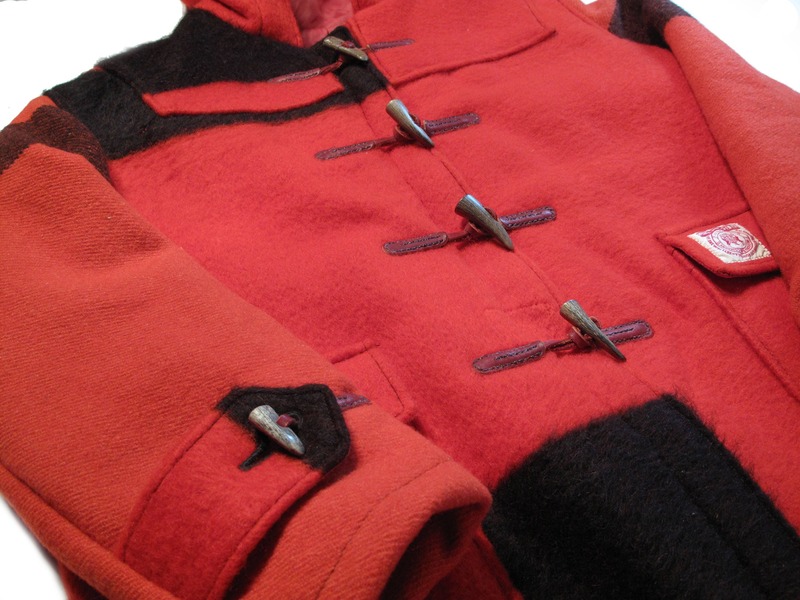 brilliant red color and shaggy wool texture. almost enough fabric for three coats in a size run of small medium and large. 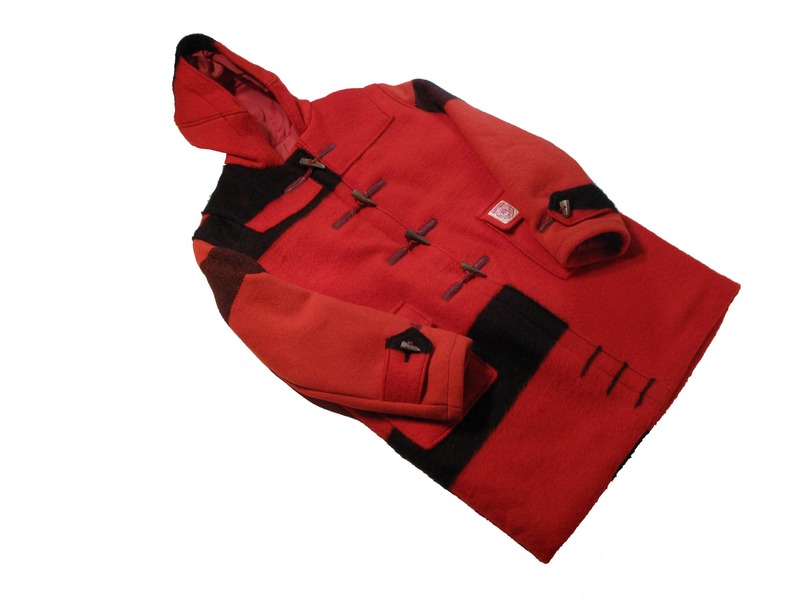 each with different details from the blanket it self and different buttons and loops. 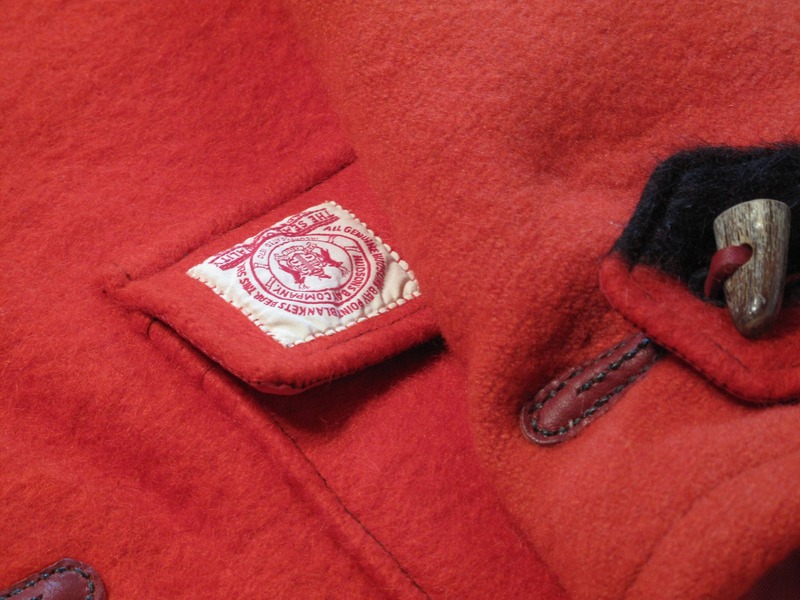 a third blanket by Baron was used to fill the gaps and all three tags, two Hudson bay and one Baron are used as details. 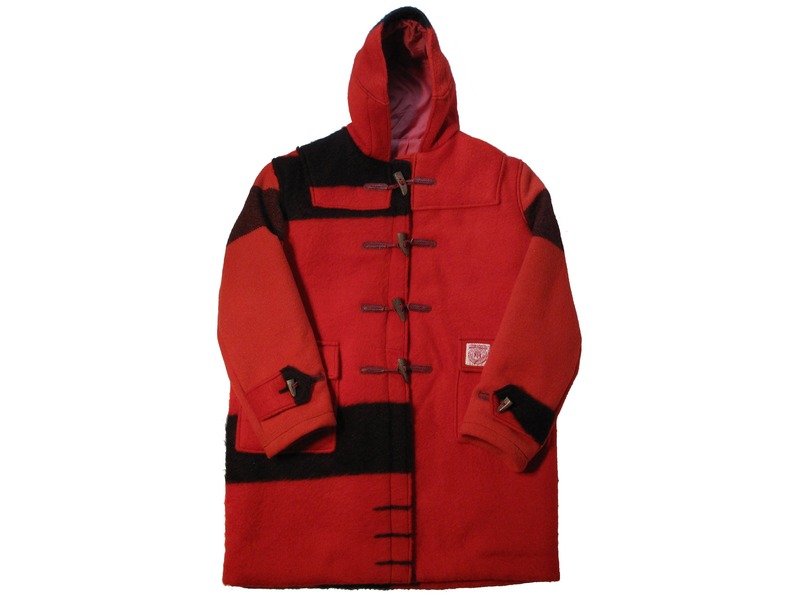 this particular coat is the large. 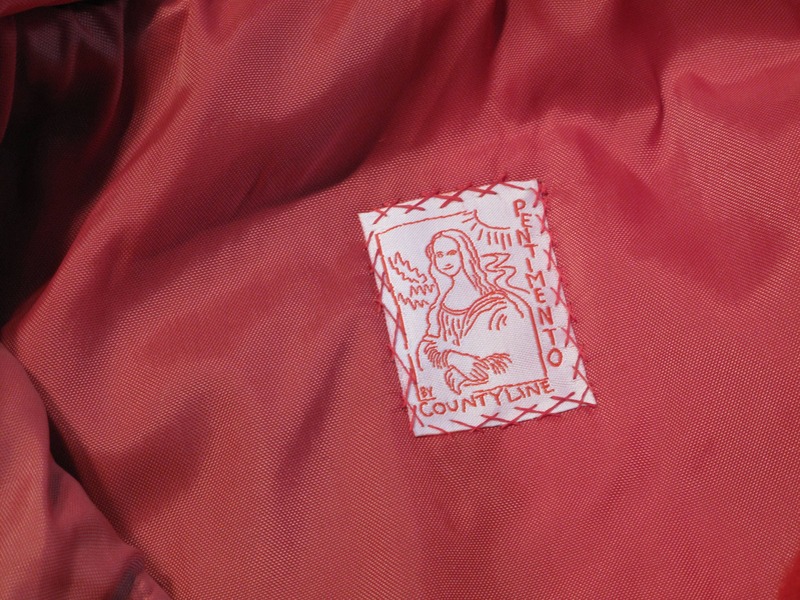 lining is red american nylon from a retired american flag. 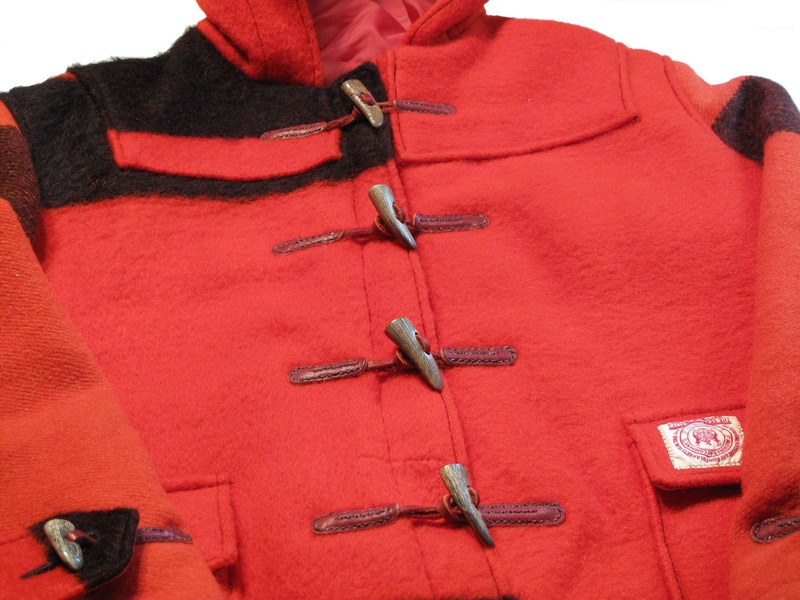 all leather trim is ox blood latino and the horn buttons were taken off an old Gloverall duffle coat. hudson bay blanket tag removed and replaced upside down on the front pocket flap.